…and lovin’ every minute of it! And for any of you newbie ukulele players out there: I found the most awesomest site! I’m learning Silent Night and Jingle Bells from Brett! For seasoned ukulele players too! Great sketch! 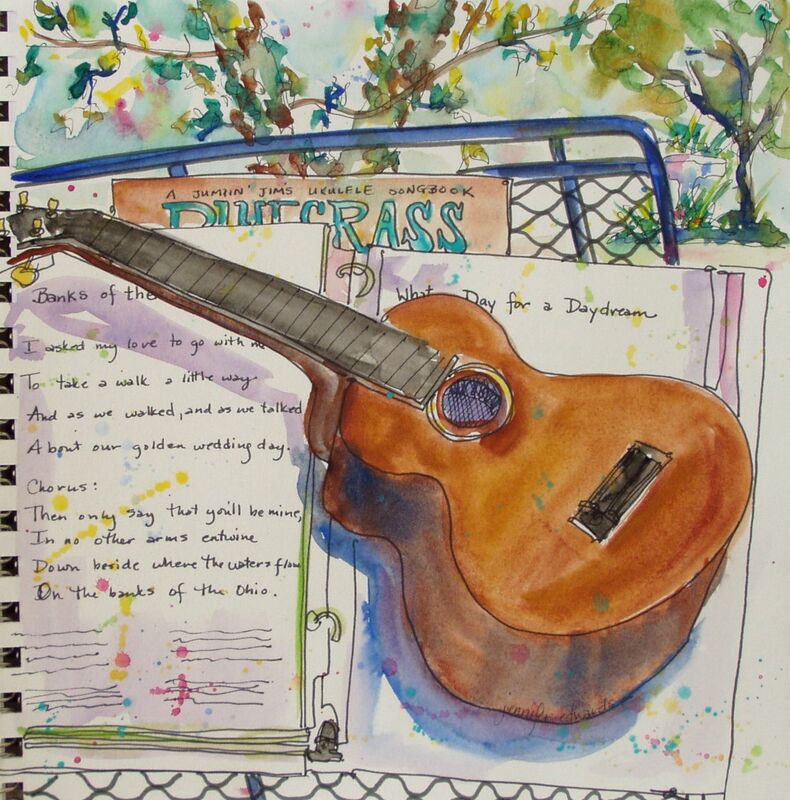 And now you’ve got my mind playing that tune in my head over and over and over . . . .
Great sketch and colour – a ukele player – wow, you are talented. I love seeing your art work. Thank you and Thank you!! To both Sandys! I wouldn’t have noticed the missing strings if you hadn’t mentioned it. I don’t tend to notice details which is why drawing is good for me since to do well I have to start paying attention. It’s a constant effort to see those details! I love your thought of the invisible strings being like the Emporer’s New Clothes! It’s a great sketch even without strings! I really like the colours you’ve used. Crikey!! Not only can you draw a ukulele , you can play the freakin thing too. AMAZING!